As it seems that my beauty review on getting a Japanese air wave perm in Tokyo has been one of my more popular posts on the internet - which I hope means it has been helpful to my readers - I thought I might share about other beauty related products as well that others may find interesting. This time, I'll share about the MiraCurl by BaByliss. I got the MiraCurl for my birthday a few months ago, and though I admittedly have yet to use it frequently (it's been a terribly busy and eventful few months for me), I do have some first hand thoughts about it that may help you decide if you should get one too. The MiraCurl by BaByliss Pro. What is the MiraCurl and how does it work? Is it really a MIRACLE? The MiraCurl is basically an automatic curling machine with a barrell that eats up your hair and spits it out as bouncy locks as an end result. It looks and sounds frightening at first, but its safety features are pretty impressive. If you don't do it right, the machine doesn't work. The curls it produces are also pretty darn wonderful. Sounds miraculous eh? It has timed settings that allow you to control how curly you want your locks to be, and temperature settings so you don't really have to worry about it frying your hair. Is it worth getting one though? Read on to find out what I thought. You may be confused as to why my MiraCurl looks like the BaByliss Pro Perfect Curl and not the blue MiraCurl you may be familiar with on the Internet. Kindly take note that BaByliss produces a series of different models targetted at different countries. Here, the model I am reviewing is BAB2665U/BAB2665H. It is black in colour, and I believe is an asian edition, if not the equivalent to the european Pro Perfect Curl. I have no idea why this is so but anyhow I am referring to this product as what it has been titled and marketed as. Yes I have purchased this from a reputable seller and an official distributor in Asia, and this product was packaged and marketed as MiraCurl. An introduction to my hair specs, for a comparison to how the product might work different on yours. - As mentioned before in my previous post, my hair is naturally straight and very fine. It is black to the core, and the only thing I have ever done to it is a Japanese air wave perm which I have reviewed detailedly about here. - It has been more than half a year since the air wave perm, and my hair is currently quite straight, and perhaps a bit more dry since the perm. It does now however hold curls more easily since the air wave perm. It looks TERRIFYING. To be honest, I spent about 10 minutes fiddling with the thing to make sure I understood exactly how it worked before I dared put it near my head. I read the instruction booklet a couple of times, and even watched a couple of YouTube videos by other girls using it to ensure I got it right. 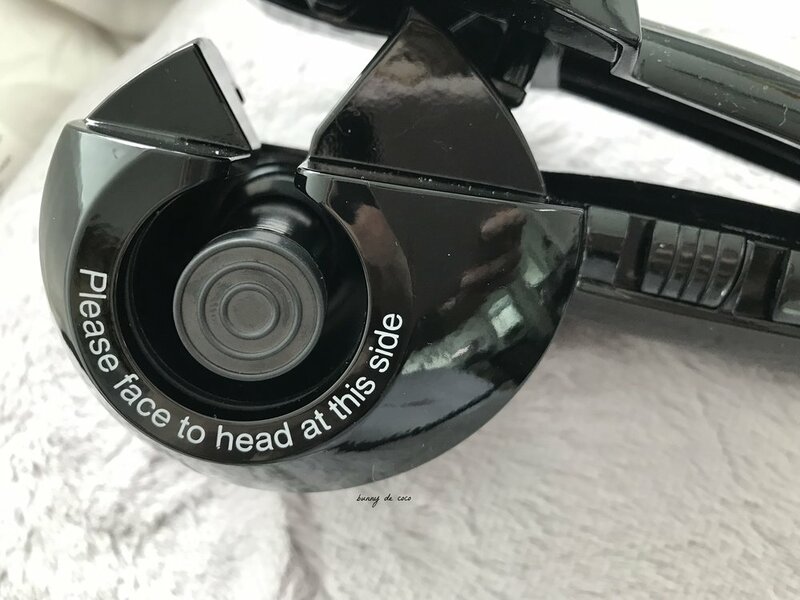 My first thought when I unboxed my MiraCurl: now, why would a hair curling device require such an ominous warning sign printed on it?? To convince you that it is not as frightening as it sounds or may seem at first glance, perhaps it may be helpful to share in detail how the MiraCurl is properly used. These instructions have been designed by me for a MiraCurl first-timer, based on my personal experience and what BaByliss officially recommends. 1. Brush your hair to make sure there are no knots or tangles. This is a key step so do not skip this or you will regret it (like I did). The machine will tug at your head if your hair is knotted or tangled. I cannot highlight this step enough! 2. Prep your hair with some heat protectant spray. Next up, you'll want to decide on a few things before turning the machine on: curl direction, type of curl, and the temperature setting appropriate for your hair. 3. The MiraCurl allows you to choose the direction you'd like your curls to be in, A (Automatic), L (Left) or R (Right). This is completely your preference. I usually choose A for a natural look. 4. Next, decide how tight or loose you want the curls to be, and choose a timed setting that corresponds to it. 8 seconds for loose soft curls, 10 seconds for medium curls, and 12 seconds for tight defined curls. I like choosing the 10 seconds and then run my hands through the locks when they've cooled down for a more tousled natural look. 5. The last button on the right end lets you select the temperature setting of the machine. 190°C for delicate, fine or coloured hair, 210°C for regular textured hair, and 230°C for thick hair. I use the lowest setting, as my hair is very fine. 4. Once you've decided on the above, turn the MiraCurl on and select your desired settings. When you're ready, place a small section of hair no more than 1.5" wide in the “V” section of the unit, and where you want the curls to start (I recommend not too near your head or you will feel it tugging at your scalp). Make sure that the “open” side of the MiraCurl is always positioned facing your head (see pic below). This very large wording first appeared quite hideous on the device, but you'll soon be thankful for it. 6. 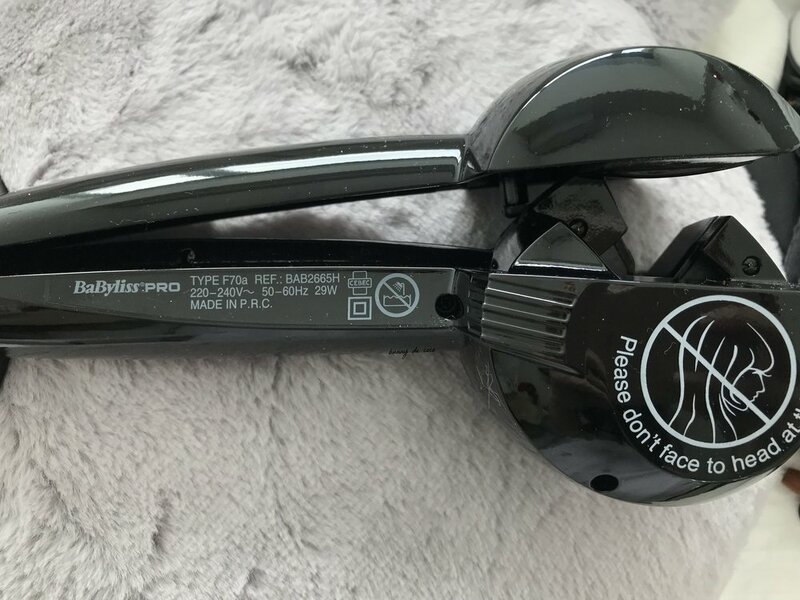 The MiraCurl will start counting once you close the handles and then beep at regular intervals while the curl is being formed – 3 times for 8 seconds, 4 times for 10 seconds, 5 times for 12 seconds. The machine will signal four beeps in quick succession when the timer is complete, and then you may let go of the handle and gently release your hair from the chamber. If you wish, you can also use the 0 (zero) position to not use the timed settings. Keep the handle closed until you’re ready to remove your hair. I would obviously not recommend this option until you are highly familiar with operating your Miracurl. Once you understand the mechanics behind the machine, what the buttons are for, and which direction to hold the machine toward your head, all is really OK. This is what the curls looked like on my first try using the MiraCurl. Bouncy, light and oh-so-lovely. Absolutely in love with the results. I'm perhaps exaggerating a little by saying that the curls last for days (I wouldn't know because I live in a tropical climate and tend to wash my hair frequently). I can testify however that the curls do last a full day - with my hair at least. So I imagine they would be able to last more than a day if I didn't wash my hair. Hence it does last for day(s). The drag about the MiraCurl is the need to ensure your hair is combed through with no tangles, and to place it properly in the barrel. Otherwise it will get frustratingly caught in the barrel or you may feel a tug against your head when the machine twirls your hair. I do love the curls that the MiraCurl produces though. And notably, the curls also do last so much longer than when I use my regular go-to Braun curling iron - even when I don't use any hair setting spray! For these two reasons alone, the MiraCurl is a darling for me. Darling enough for me to put up with the hassle in exchange for long lasting curls. Disclaimer: Please be aware that there are plenty of knock-off versions of the MiraCurl, so do your homework and due diligence to ensure you are buying the real deal from a reputable seller! These are all my personal thoughts and experience with using the product. I am not in any way affiliated with the BaByliss brand. Have you used the Miracurl? What are your thoughts about it?